THE SHUCKERS! 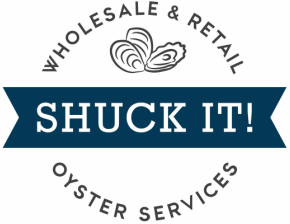 - SHUCK IT! Having owned and run popular West End seafood eatery, George’s Seafood, for 20 years, Johnny Diacopanagiotis has come to know a thing or two about the oyster trade. 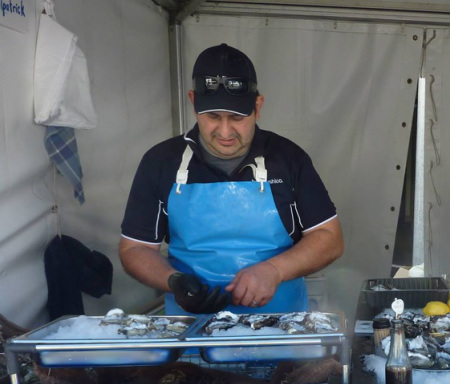 After selling his seafood business in late 2013, Johnny longed to mingle amongst members of the local community – chewing the fat about his true passion: delicious, fresh seafood. Together with his comrade Gene, Johnny is once again delivering up the finest of the ocean’s offerings via his newest venture, Shuck it! You can talk to Johnny and his wife, Mary-Jane, about having Shuck it! bring fresh oysters to your next event.